Linda started deliver Christmas gifts to families living in refuges 17 years ago. Now she works all-year-round with a team of volunteers. The disorder broke at the high-security Long Lartin prison in Worcestershire. One member of staff suffered a suspected broken jaw. A drunk burglar who used a giraffe sculpture to break into a shop has been given a community order. 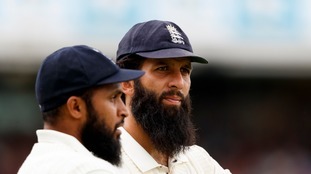 England cricketer Moeen Ali has accused an Australian player of calling him "Osama" during his Ashes debut in 2015. The Rapids overcame the Lightning by five wickets with one ball to spare in the North Group. The man, in his 70s, suffered serious, life-threatening injuries when two men wearing balaclavas forced their way into his home. Katie Houghton spent two months organising and writing the notes, "I'm distraught that the hard work has literally gone in the bin." They were found in the early hours of Saturday morning. The boy suffered serious burns to his face and an arm at the Home Bargains store in Worcester on Saturday afternoon. The men are due in court on Wednesday.